One of the outstanding innovations in maternity care at The Royal is the specialist Malabar Midwifery Link Service. Midwives work with Aboriginal communities, in an effort to improve pregnancy and birth outcomes for Aboriginal families at The Royal. The Malabar Community Midwifery Link Service was developed in response to a community consultation undertaken in 2005. This consultation group highlighted the potential to enhance the existing Aboriginal Maternity and Infant Health Services, that provided culturally specific community based antenatal care, to one providing continuity of care throughout pregnancy, birth and the postnatal period. They work as a team to provide a seamless, accessible and culturally appropriate service in partnership with local communities. 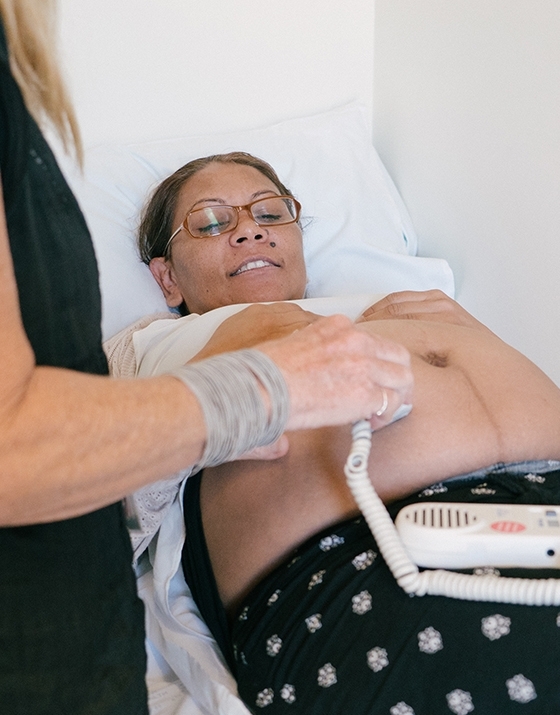 A major goal of the service is to support the ongoing training, mentoring and support of Aboriginal midwives and thus, provide capacity to support state-wide Aboriginal midwifery initiatives. The Malabar service has proven to be a successful model in providing maternal and infant health care for Aboriginal and Torres Strait Islander families. Furthermore the service sets the scene for midwifery initiatives in Aboriginal health and the provision of Birth on Country in the future. The service has been named as a Gold Standard for other services wanting to replicate the model, nationally. In 2008 Malabar Midwives received two NSW Aboriginal Health Awards: the Director General’s Award and the award for excellence in program and service delivery. This year the Malabar Midwives are celebrating 10 years of dedicated care to Aboriginal families. The Foundation has had significant input in supporting the Malabar Midwives; in particular by securing funding for the ‘Mentored Aboriginal Midwife’ role. As there is no longer government funding for this position, The Foundation relies on generous donations to continue to support this inititiative. With your generous support, better health outcomes for Aboriginal and Torres Strait babies and families are being made possible.